Home Funny Selfie: Monkey caught in copyright war. 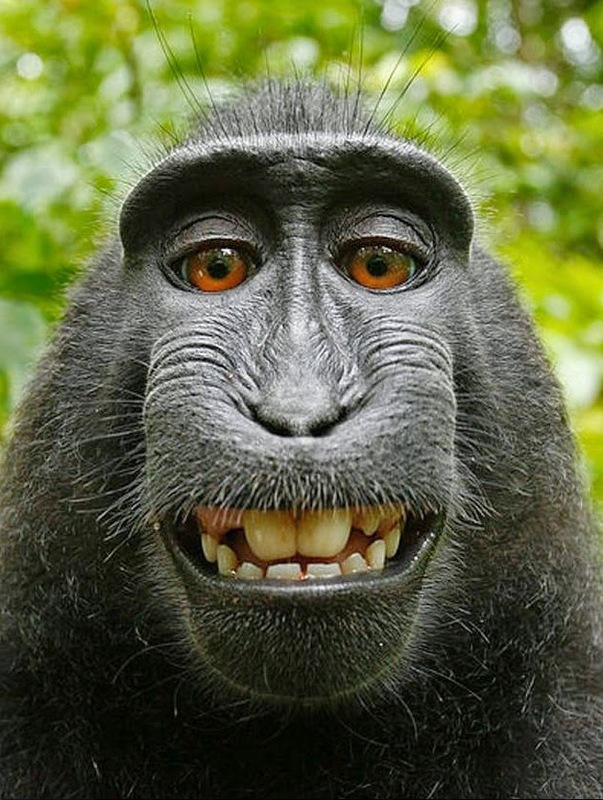 Selfie: Monkey caught in copyright war. A selfie taken by black macaque on the Indonesian island of Sulawesi three years back has become a legal war beween Wikipedia and Person with whose the camera the pic was taken. As per Wikipedia non humans cannot have the copyrights and since the photo was clicked by the monkey himself he owns the copyrights. Whome would you support Human or Animal or Wikipedia?